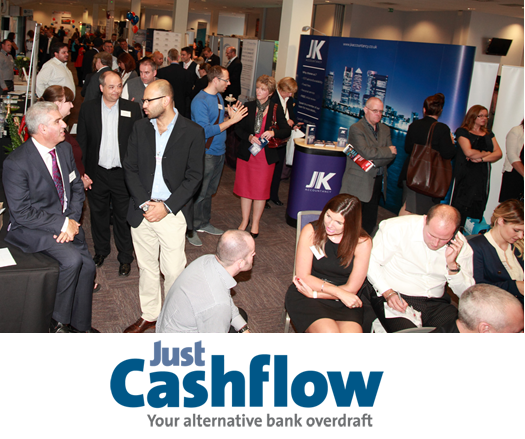 Want to be part of a record breaking Networking Breakfast? On the morning of the 2014 business exhibition before the official opening, Introbiz will be hosting a Networking Breakfast with all exhibitors, sponsors, visitors and the Introbiz network. After hosting the largest networking breakfast event in Wales prior to our 2013 show with 400 in attendance, we are looking to smash that number with up to 1,000 businesses at this years event. REGISTER TODAY! Click here for Networking Breakast tickets only £12! Enjoy networking with breakfast buffet, pastries, fruit and refreshments catered by award winning Spiros Caterers. 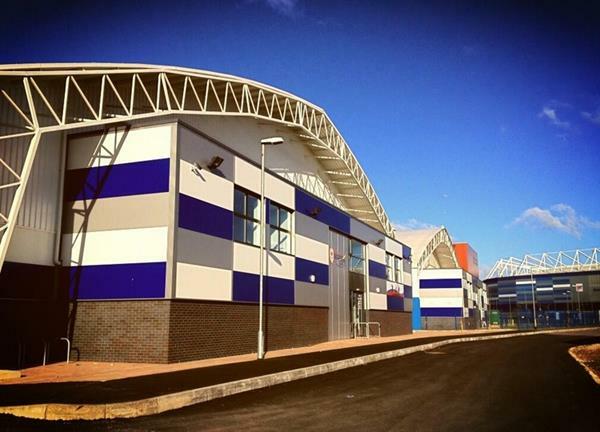 There will be over 200 of the UKs biggest companies exhibiting and showcasing their products and services on this one floor 30,000 sqft venue at Cardiff City House of Sport, next to Cardiff City Stadium in Leckwith. The show will consist of..
Thousands of pounds of prizes to be won on the day and much more! Our keynote speaker line up for this year’s exhibition is looking fantastic with 7 confirmed entrepreneurs. Two of the entrepreneurs are world renowned speakers and are returning to Wales’ Biggest business exhibition for a 3rd & 2rd year, self-made multi-millionaire and social entrepreneur Kevin Green and international speaker and best selling author Daniel Priestley. 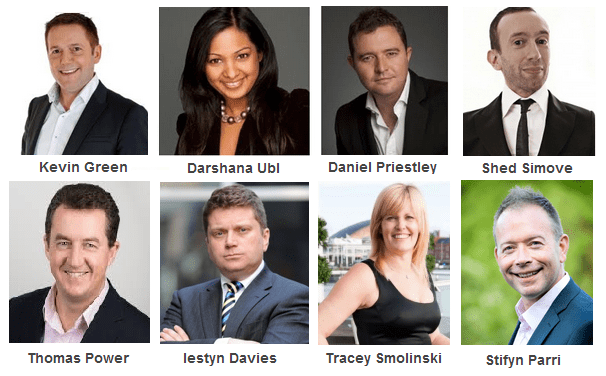 Whilst property investor and media specialist Darshana Ubl makes her first debut in Wales along with comedian, entrepreneur, author and motivational speaker Sheridan ‘Shed’ Simove. We have also confirmed Thomas Power the other half of Penny Power, Britain’s social media ‘Power Couple’ and Iestyn Davies Head of External Affairs at FSB and finally our very own Tracey Smolinski Director of Introbiz. And last but not least Stifyn Parri of Mr Producer will be our compere for our business exhibition and VIP after party. 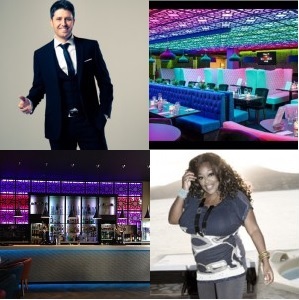 Following Wales’ Biggest Business Exhibition on 25th September 2014, Introbiz will be hosting a Celebrity VIP Red Carpet Charity Event at Cardiff’s most stylish venue Maddison of Cardiff, in the heart of the city centre. All the exhibitors, sponsors, entrepreneurs of the business exhibition get a chance to network with each other in a relaxed social environment with fantastic entertainment. Football Association of Wales and their charity campaign The Welsh Football Trust “Level Playing Field” and Cardiff City FC Community Foundation. The After Party will be a social and business event with champagne, canapes and a buffet for 500 people.The entertainment will be provided by 80s star Kim Mazelle, Wales own James Williams and top London DJ Chris Sullivan and everyone will be joined by sporting celebrities from Cardiff City FC, Cardiff Devils, WRU players, world boxing champions and many VIPs including some of our top UK entrepreneurs! Champagne & vodka cocktail reception | Canapés & hot food buffet | Bottle of champagne & drinks | All live entertainment | Celebrity, VIP & sponsors access. The VIP Tickets are now on sale – please click here for more info! 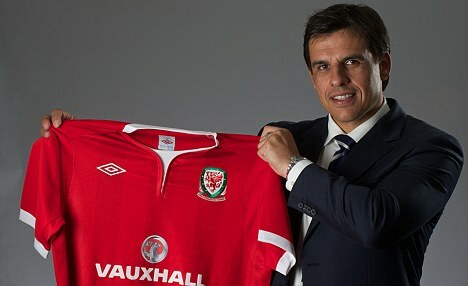 Come and meet Wales Football Manager Chris Coleman at the Introbiz Business Exhibition and Celebrity VIP After-party on September 25th. For further details about Wales Biggest Business Day please contact us…. Two of the entrepreneurs are world renowned speakers and are returning to Wales’ Biggest business exhibition for a 3rd & 2rd year, self-made multi-millionaire and social entrepreneur Kevin Green and international speaker and best selling author Daniel Priestley. 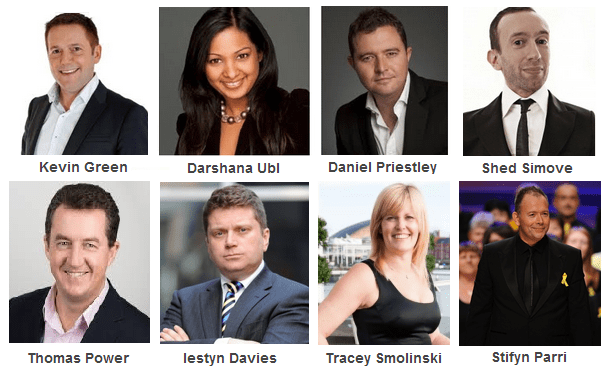 Whilst property investor and media specialist Darshana Ubl makes her first debut in Wales along with comedian, entrepreneur, author and motivational speaker Sheridan ‘Shed’ Simove. We have also confirmed Thomas Power the other half of Penny Power, Britain’s social media ‘Power Couple’ and Iestyn Davies Head of External Affairs at FSB and finally our very own Tracey Smolinski Director of Introbiz. And last but not least Stifyn Parri of Mr Producer will be our compare for our business exhibition and VIP after party. Or the Introbiz team on: 02920 291002. To register your FREE Tickets to see UK’s Top Entrepreneurs Keynote Speakers & Network with Thousands of Businesses just register below to attend Wales Largest Business Exhibition on Thursday 25th September at Cardiff City House of Sport 8am-5pm. Wales’ Biggest Business Day & Night. Come and meet all the exhibitors, sponsors, entrepreneurs, Introbiz members and new visitors at Wales’ record breaking networking breakfast event. After hosting the largest networking breakfast event in 2013 show with 400 in attendance, we are looking to attract up to 1,000 businesses at this years breakfast event. Click here for Networking Breakfast tickets ONLY £12! Here is the Official 2014 floor plan. The Exhibition will consist of..
Come and meet all the exhibitors, sponsors, entrepreneurs of the business exhibition and get a chance to network with each other for a social and business event rolled into one with champagne, canapes and a buffet. We will be joined by sporting celebrities, Wales’ Football Manager Chris Coleman, Cardiff City FC players, Cardiff Devils players, WRU players, world boxing champions and many VIPs including top UK entrepreneurs! Tickets are selling fast so please book today to avoid disappointment!